To those who are not so keen about satellite image related topics i am sorry for the recent focus on that matter – there will be other subjects again in the future. But for now i have here another imagery related post – about the glaciers of Africa. Readers familiar with glaciers probably know there are three areas on the African continent with glaciation – all in the inner tropics. Glaciers in the tropics are very special since there is not such a clear seasonal pattern of winter snow accumulation and summer melt like at higher latitudes. All African glaciers have shown a significant retreat during the last century to a tiny fraction of their original size and will likely vanish completely within the next fifty years. 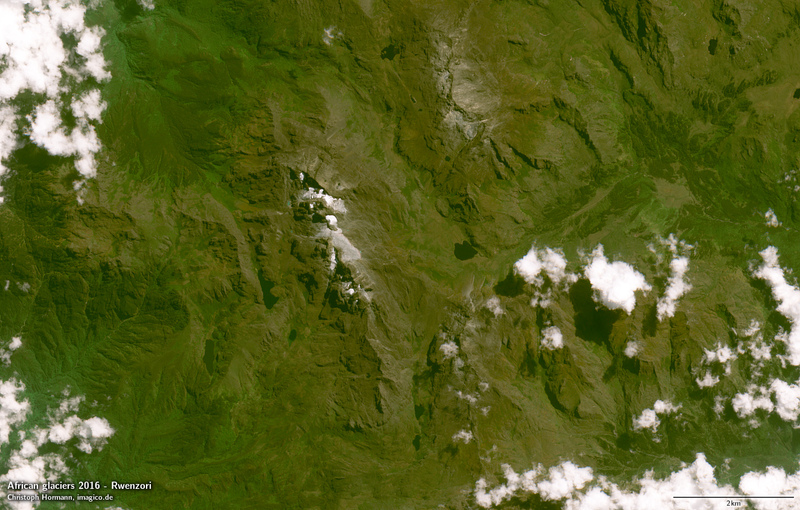 The Rwenzori Mountains at the border between Uganda and the Democratic Republic of the Congo feature somewhat more extensive glaciers due to the much wetter climate despite these mountains being the least tall of all three. Formerly glaciers were found on several peaks in the area but now they are mostly limited to the highest areas on Mount Stanley. And finally the best known and tallest glaciated mountain in Africa is Mount Kilimanjaro. 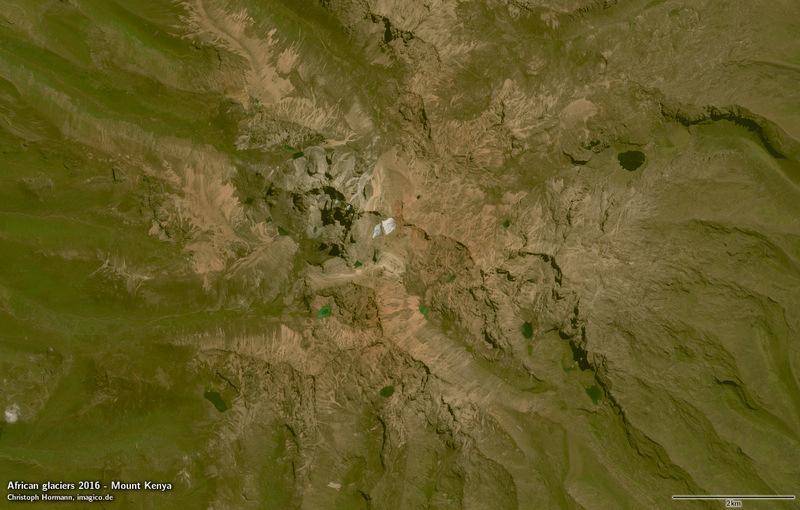 A hundred years ago most of the main caldera was still covered by ice while now there are only a few patches left. 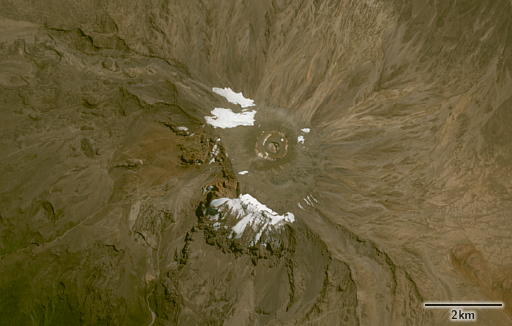 Due to the altitude glacier retreat on Kilimanjaro has very little to do with climate warming and more with decreasing amounts of snowfall and increasing sun exposure due to sunny weather. All three images based on Copernicus Sentinel-2 data.